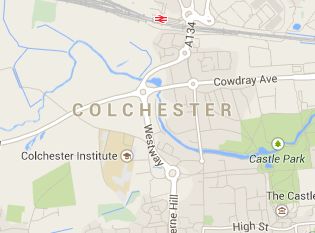 As the oldest town in England, Colchester is full to the brim of family-born businesses that have been around for decades. Some local companies, in fact, have been trading for over 100 years. Colchester is a charming tourist destination with all the qualities and amenities of a bustling, modern-day town, making it the perfect place for small to medium business owners to set up shop. With so many new businesses arriving in Colchester every year, it can sometimes become a bit of a struggle for the older, more established companies to keep up, especially when it comes to advertising online. SEO has become an essential part of the marketing plan for any Colchester business – after all, as competition starts to heat up, it’s vital to set in place a plan of action that’s going to help you get noticed in the circles that matter. Search engines offer huge potential exposure and, if you have a website, play a vital role in generating enquiries. Dominate the search listings and grow your business quickly yet sustainably with the help of Colchester SEO company Freelance SEO Essex. Our team is passionate about helping businesses grow, and we are determined to prove that we aren’t just another run-of-the-mill SEO agency in Colchester that’s looking to tie you into long-lasting contract without really delivering the goods. We understand that SEO is all about return on investment and have helped dozens upon dozens of businesses in Colchester, Essex and beyond reap the rewards from a scalable search engine marketing campaign that’s as affordable as it is effective. We’re so confident in our ability to perform that we offer flexible, rolling monthly contracts, and, unlike many other SEO companies in Colchester, we truly believe that a strong business relationship is developed through regular, face-to-face contact. We don’t hide behind phones and emails – we meet with you in person as often as we can to explain the work that’s been carried out and how what we’re doing is going to ultimately affect your bottom line. If you are looking for a SEO company in Colchester that is just as enthusiastic about growing your business as you are, call Freelance SEO Essex on 01245 477449 and discover how you will benefit from our natural, ethical link building techniques and comprehensive SEO .